January 11, 2018, was the final day of the International Builders’ Show. It was also the day that Facebook announced that its news feed algorithm would be altered. Close friends, family, and content that favors “meaningful interactions between people,” would be given priority over “posts from businesses, brands, and media,” Facebook CEO Mark Zuckerberg said. The reaction from marketers was swift—panic. The effect on good advertisers on Facebook has turned out to be small. But what we can learn is this: The way many of us continue to market our homes and communities is wrong. Google changes its algorithms often. Facebook will continue to do so as well. Fear erupts whenever the social media platforms do this because marketers spend too much time playing cops and robbers—trying to hack how an online channel delivers advertising and too little time creating useful content for prospects and customers. Marketers, realizing they may have to start from scratch if their strategy is shut out by the algorithm change, start to worry. Companies such as Google and Facebook are always looking to combat the race to the bottom caused by marketers. But, ultimately, it hurts the user experience. How people interact with media has changed as technology has evolved. But how different media interacts with users has also changed. Marketers observe users constantly and they react quickly to try to keep users happy. Marketers operate under the threat of bored or unhappy users being lured away by new apps, sites, or services. Algorithms change because the marketers are winning the private detective game and the consumer is dissatisfied. Consumers don’t want ads; they want well-crafted content that educates, inspires, or solves a problem. Great content solves your customers’ problems, your marketing problems, and it has saved my career as a marketer. Years ago, the family-owned builder I worked for was acquired by an industry giant. Within 45 to 60 days, we were to cease selling the 40 home designs my team had been offering in favor of 12 new ones from the new owner. And there was no time to build models prior to the switch. If a prospect wanted to tour one of the new designs, an eight-hour round-trip was required. As you can imagine, my sales team felt as if they’d been asked to do the impossible. I sent two film crews out for two weeks to capture as much new product as possible. Footage was prepped for shorter videos and small galleries to draw in new traffic to our (now outdated) model homes and online sales team. We also created longer interactive content, so the sales team could actively engage with a prospect. Sales could share how a home design would meet or exceed buyer needs with 12 minutes of high-definition footage and a virtual tour on an iPad. Even better, the salesperson taught the prospect how to explore this content on their own at home. That month, 29 homes were sold, at an average price of $600,000. And not one buyer elected to take the drive to see the homes in person prior to signing. Unfortunately, most builders’ content about the homes they sell is lacking compared with consumers’ expectations. Polished versions are rarer still. If you don’t have all of this for individual homes, community-based content is in an even worse spot, and inserting a Google points-of-interest map isn’t enough. There are two common strategic errors with content. Error No. 1: A focus on select portions of the buyer journey. It’s usually awareness and consideration. If desirable content does exist, it isn’t organized for the sales team to use effectively in a presentation. And content for the sales team to use during their follow-up often doesn’t exist at all. Error No. 2: Sharing facts and not telling stories. Prospects need both, but in the end, the best story wins. It wins when consumers are narrowing down the short list of builders to visit. It wins on the sales floor. It wins at the dinner party where a friend is considering moving to a new home and is seeking advice. If you can apply the following three insights, you can make 2018 the year that you shift from advertiser to true marketer. 1/ Get your budget in order: Stop trying to create riveting content on a shoestring budget. Content creation should make up 1/8 of your overall spend for the year. 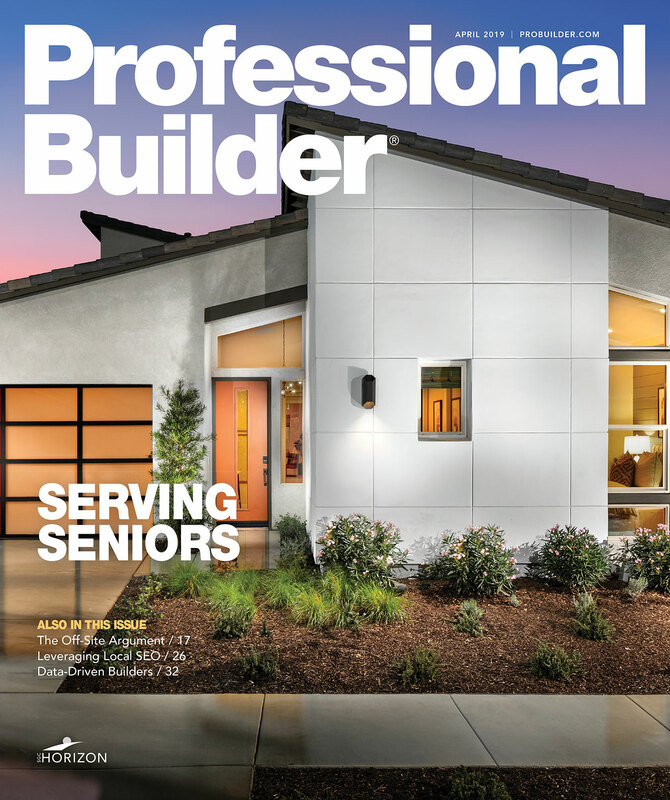 My full recommendations are in “The Perfect Marketing Budget for 2017” (Professional Builder, January 2017). Allocating the right amount lets you partner with professional photographers, copywriters, and graphic designers. 3/ Create a replicable process: No matter how incredible a single video may be it won’t be enough to address every need or desire your customers have. Similarly, spending large amounts of money and time on a single piece of content isn’t the approach you want to take. If it’s too expensive, too difficult, or requires too perfect of a scenario, you won’t be able to do it often enough. Your goal is to create a repeatable process that generates enough breadth of content with enough depth and quality to stand out from the crowd. Tinkering with your process until you find the right blend will give you an enormous return on your investment, but it requires both patience and focus.